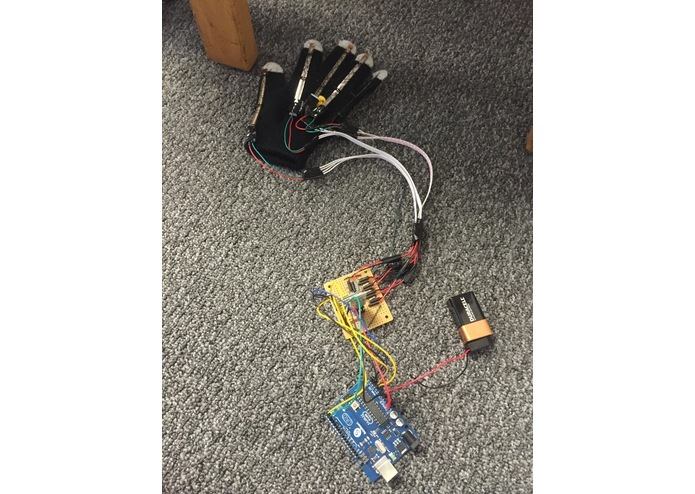 We were interested in utilizing a microcontroller for a 3D application, so we began attempting to create a 3D hand controlled by our own hand. 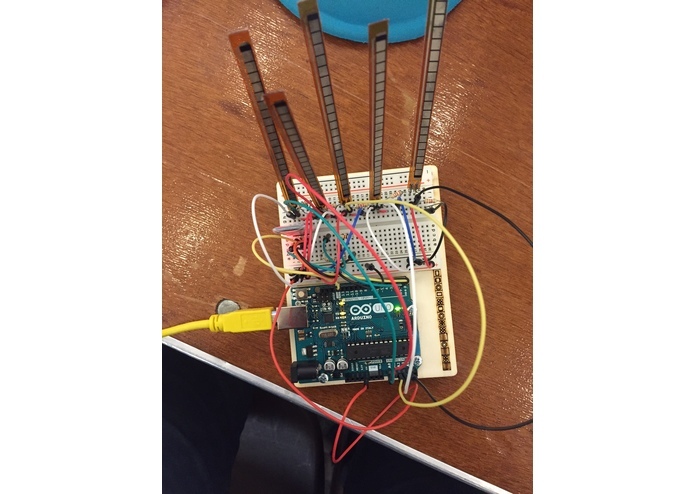 Once the hand was built, we made an application that is a proof of concept for potential healthcare hardware endeavors involving hand therapy associated with arthritis, hand injuries, carpal tunnel syndrome, etc. 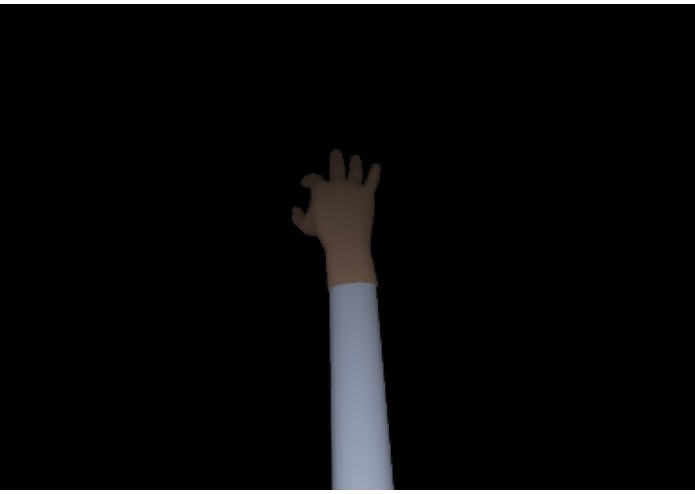 Our glove attached to hardware controls all 5 digits of a human hand and translates movements in the real world to movements of a 3D model hand in Unity3D. In Unity3D, we built a simple app that challenges the user to bend certain fingers when prompted. 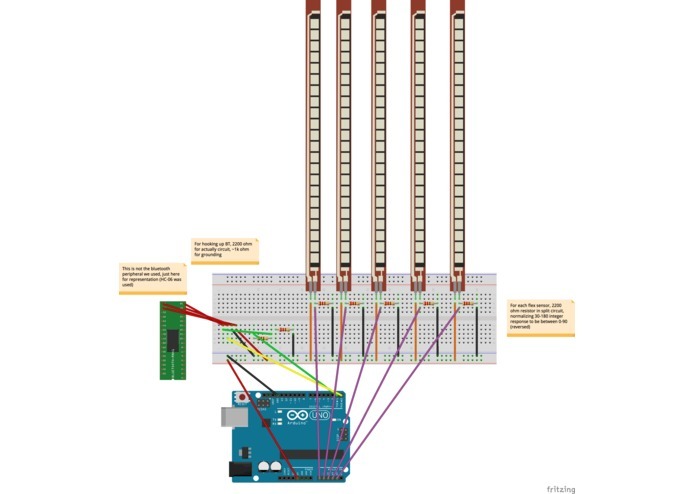 We built several circuits on an Arduino board, 5 of which involved flex sensors for five fingers. We used voltage splitting and relative value mapping to map the response voltages to numbers that can be translated to finger bending in Unity3D. In order to communicate with Unity3D, we used an Arduino bluetooth peripheral and a Mac's bluetooth port to retrieve serial data from the Arduino and map it to each finger. We wrote an overall hand moving class to recognize finger movement and add hand therapy app functionality. In general, bluetooth connectivity, serial output from the Arduino to unity, and finger motion were our biggest challenges. Communicating with Unity via a microcontroller in an intelligent way is something we're very proud of, and we're happy our aspirations produced a product that is both inexpensive and potentially useful for individuals struggling with hand-motion related ailments. Our software people learned hardware. Our hardware people learned software. We all learned how hard it is to build out an interactive peripheral for a 3D model. We hope this hack serves as a proof of concept for inexpensive health recover/rehab methods related to hand motion in the future. I thought of the idea based on the components that would be for sure available to borrow. 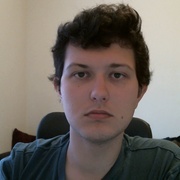 I tested and contrasted the capabilities of existing technologies with our hack (Leap motion). 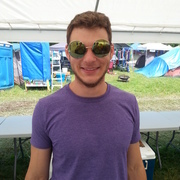 I helped organize the team by forming the GitHub page. I facilitated the assembly of the hardware by attaching the sensors to the glove, designing the layout of the components on a prototyping board to reduce size of final prototype, and assembling and soldering components. Educated younger members on Computer Engineer and Programming concepts. I worked on wiring the microcontroller for handling flex sensor data based on variable resistance using mapping functions inside the Arduino IDE, helped create the parser and worked on Serial communication via Bluetooth. Helped build the model in the 3D Unity interface. Learned a lot about serial communication, learned and used C# for the first time, learned about parsing and data transfer, as well as working in a team in a high pressure situation, with tight deadlines and many ideas flowing that had to be compromised into a cohesive final product. I worked on all parts of this application. From the Arduino, to serial output processing, to coding the health therapy app in general, I served as a project manager and a presence in all elements of this project. Worked on transmitting data from flex sensor to computer via serial data sent by bluetooth. assisted in construction and designing of advanced circuit layout consisting of variable voltage flex sensors. facilitated in the development of micro controller circuits. Worked on writing C# scripts for animation and setting up 3d models inside of the unity environment. Collaborated with teammates to design hardware and resolve bugs.